As the race for the Speaker of the House of Representatives in the 9th Assembly heats up, the Chairman of the House Committee on Maritime Safety and Education, Hon Mohammed Umaru Bago, a returning member of the House of Representatives from Niger state on Sunday declared his intention to vie for the slot in the next dispensation. 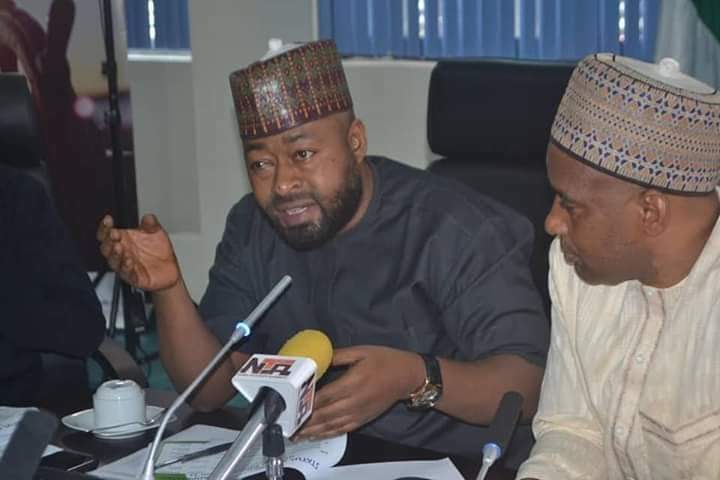 However addressing newsmen at his Campaign Headquarters in Abuja yesterday, Hon Bago declared that he was coming out to slug it out this time around to correct the “injustice” the North Central zone has continued to suffer in the country’s balance of power, lamenting that the Zone had never produced either the Speaker or the Deputy since advent of democracy in the country 20 years ago. Also speaking, the Director General of Campaign Organisation and a former member of the House, Hon. Bimbo Daramola stressed the need for the APC to uphold equity in its power-sharing arrangements among the six geo-political zones in the country and be guided by the party’s constitution of the country. He assured the public declaration of Hon Bago would be done soon.